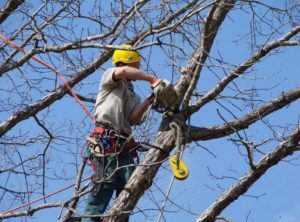 Tree Removal Denver is the top Tree Service in the greater Denver area. We offer a full range of services, include Tree Trimming and Pruning. The main objective of tree trimming is to improve the tree structure and of course its overall health. Our tree care experts will be able to assess the trimming needs, select the branches that will be removed either to create a better tree structure, lessen wind resistance or to reduce problems related to storm damage. Most likely trimming will be done on young trees but as noted above that will definitely depend on your individual circumstances. Pruning services provide various benefits to the tree and to you, as a homeowner. There are different ways pruning is done, but our highly trained staff will be able to recommend the type of pruning necessary to maintain your tree or improve its health or its appearance. They may decide to remove infected or damaged limbs, dead limbs or eliminate branches that are rubbing each other. They will also remove limbs interfering with electric wires, building thereby obstructing views, sidewalks or streets.